Tuesday, Mar. 22 brought tragedy to the city of Brussels, as two major explosions in the Belgian center's airport and metro station caused numerous deaths and casualties. 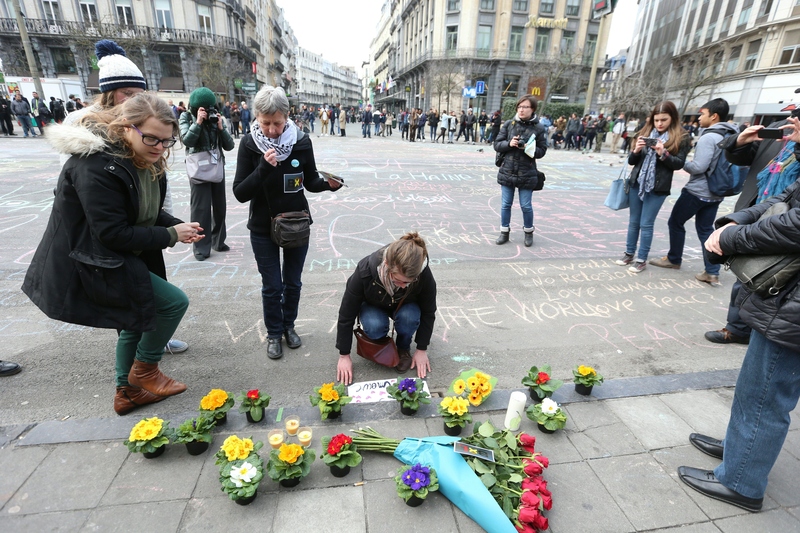 The attacks, thought to be coordinated acts of terrorism, have reportedly led to at least 34 victims so far. But despite the horrific events and what's sure to be a devastating aftermath, tweets from many Brussels residents show that the city is refusing to let fear take hold. Instead, citizens are banding together, showing their support for one another and vowing to not let the world's views of their home be colored by tragedy and destruction. Similarly to the ways in which certain images and statements posted on social media were used as a symbol of France's resilience in the wake of November's attacks in Paris, Twitter has already become a place for Brussels residents — and their friends across the globe — to express both their sadness over the attacks and their determination to move forward. It's a remarkable display of solidarity, and these tweets from Brussels are a powerful show of the city's enormous strength in the face of tragedy.